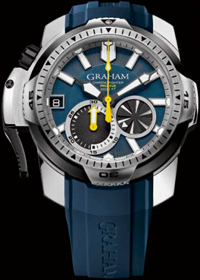 British watch company Graham has expanded his collection Chronofighter novelty – Chronofighter Oversize GMT Blue & Red. The very name of the model is already talking about colors. 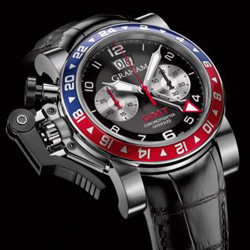 The round watch case diameter of 47 mm made of steel. Original crown at position 9:00, made in typical models Graham style – in the form of a lever. 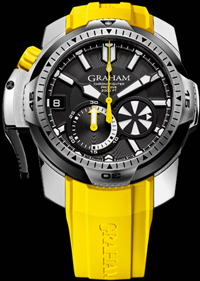 Graham introduced the stylish brand of vintage model Chronofighter Fortress, suggesting that these watches on their wrists were Fortress bomber pilots in the RAF dashing 40th.